It's not really a party without glowsticks. Sure, you can load up the place with awesome drinks, delicious snacks, and you can crank the tunes. And yeah, some rad decorations are a great way to help set the ambiance, but that is no substitution for the amazing effect of bright neon lights, waving wildly through the air! It's the true mark of an awesome shindig. Now, it's time to turn your get-together into a dance party! Just grab these blue glowsticks and you'll be set for glowing good times. 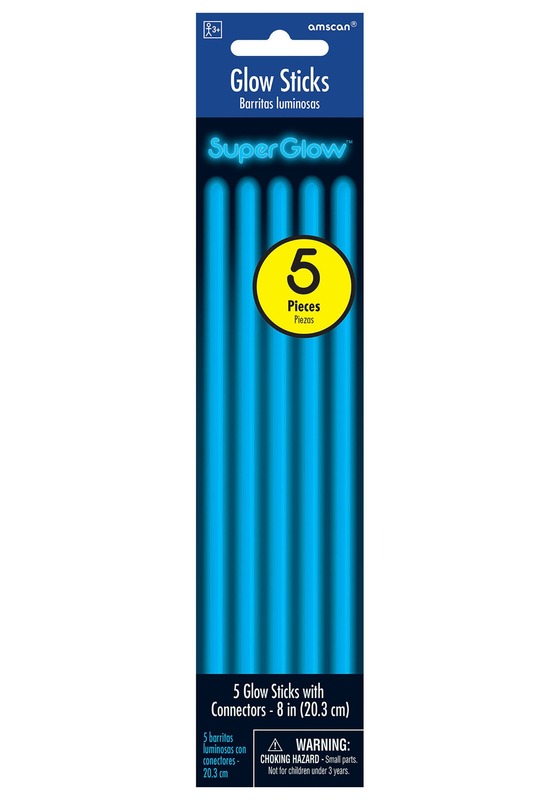 This pack of glowsticks comes with 5 sticks that measure 8 inches tall. To activate them, just give them a little snap and they'll begin glowing a bright blue color. The included connectors can be even used to customize how you use your glowsticks! 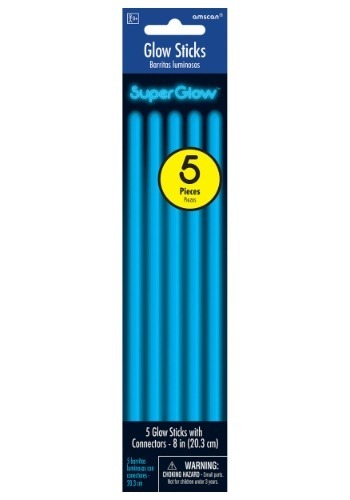 Of course, these glowsticks are a must-have for any trip to a concert or music festival! Just imagine the sight of these glowing sticks dashing through the air as you dance to your favorite jams. Be sure to check out our other colors and some of our other styles to really get a colorful look for the show!